Parallels Desktop for Mac is a hardware emulation virtualization software for Macintosh computers, trusted by over 5 million users worldwide. It's a fast, easy, and powerful way to run Windows applications on your Mac - without rebooting and slowing down your Mac. Whether you're a home user, a business professional, a student, or a passionate gamer, the Parallels's software enables one Mac to handle all of your computing needs. The program gives Apple users the ability to run Windows, Linux or any other operating system and their critical applications at the same time as Mac OS X on any Intel-powered iMac, Mac Mini, MacBook or MacBook Pro. Parallels Desktop 14 for Mac is optimized for Windows 10 and macOS Sierra, it is Ready for macOS High Sierra and Windows 10 Fall Creators Update. Moreover, It includes Parallels Toolbox, a full suite of 30+ one-touch tools that simplify everyday tasks — featuring Clean Drive, Video Downloader, Hide Desktop and more - all with the touch of a button. Parallels Desktop 14 provides Mac Touch Bar integration for Microsoft Outlook, Word, Excel and PowerPoint, as well as browsers including Internet Explorer, Microsoft Edge, Google Chrome, Mozilla Firefox, and Opera. Additionally, when you are using the Windows Start Menu or Desktop, Parallels Desktop features Taskbar pinned elements, along with Cortana, Task View and settings in the Touch Bar. Thousands of other Windows applications that run in Parallels Desktop can quickly be customized with popular Touch Bar actions, if the default set of functional keys is not enough. Furthermore, Parallels Desktop 14 innovations include Picture-in-Picture (PiP) View, a feature which creates windows of other active VMs, which are always visible on top, even when a Mac app is in Full Screen mode. Now, it is easy to monitor and work in multiple operating systems (OS) and their applications simultaneously on one screen, or watch a video while switching between macOS Spaces and applications. 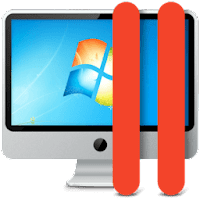 PiP View joins popular Parallels Desktop customization settings such as Coherence (Windows is invisible while using Windows apps on a Mac), Full Screen mode, and Window mode (Windows in a window in macOS). Standard Edition - for home & student users. Pro Edition - for professionals, developers, designers, testers, power users and small teams. Business Edition - standard features, plus 24/7 premium email and phone support. ideal for IT admins needing unified licensing options. Parallels Desktop 13 makes it simple for MacBook Pro users to add Windows applications to the Touch Bar, and use Touch Bar within Windows applications. It is also the first solution to bring the upcoming Windows 10 People Bar feature to the Mac – including integration with the Mac Dock and Spotlight. The new version also features up-to 100 percent performance improvements for completing certain tasks. TouchBar: Includes support for Microsoft Outlook, Excel, and PowerPoint, as well as additional integration for the Windows Start Menu and Desktop, including Cortana, Task View, and Taskbar pinned elements. Disclaimer: Direct downloads for the lastest version of Parallels Desktop 14.1.3.45485 for Mac are provided by the official software's author, we can't guarantee safety, availability or download speed. Moreover, we don't and we won't provide any pirated/illegal versions or tools. We recommend you to avoid it as these methods can harm your device. If you like the software, buy it to support the developers. (We provide software discounts for many worldwide brands).